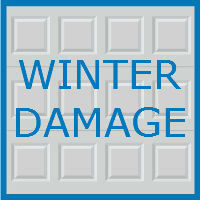 Is Your Garage a Victim of Winter Damage? Blue Sky BuildersSkywriters Garage BlogGarage MaintenanceIs Your Garage a Victim of Winter Damage? Winter can be a lot of fun. The picturesque snow is perfect for bundling up and catching snowflakes, sledding, or skiing. For your garage, however, winter conditions can lead to damage. Snow, ice, and snow melting products are all capable of damaging your garage in many different ways. This winter, be on the lookout for a few potential ways snow and ice may be damaging your garage. Water damage to your garage flooring can lead to cracks and slippery patches that put you and your family at risk of falling. If you park your car within your garage, ice and snow can easily fall from your car and lead to built up pools of water left on your garage floor. Unfortunately, in many cases, water left on garage floors is not noticed soon enough, and if left over long periods of time, can lead to damage to the structure of your garage. Preventative measures can be taken, if done early enough in the year, but extensive winter damage to your garage floor may require repairs or replacement. Snow and ice can build up on your roof and lead to major problems. Icicles hanging from the edges of the roof of your garage have the potential to fall, meaning they could be dangerous to anyone standing beneath them. Additionally, icicles may indicate a larger problem; an ice dam. An ice dam is a formation of ice on the edge of your roof that prevents water and snow melt from draining. Instead, the water pools up, trapped behind the dam, and can build up underneath shingles or seep through your roof. This could damage your garage’s ceiling, sheetrock, and paint. Removing ice dams can be difficult, and in many cases, removing the dam also removes the shingles frozen to it. Check out our recent blog post on ice dams to learn more about what they are and how to prevent them. Snow build up on your roof can also be dangerous. Last winter, there were reports of garage roofs collapsing from the weight of the snow. An unstable roof could do real harm to anyone stuck in the garage during a collapse. Wintertime conditions can also be damaging to your garage door. Your garage door opener may become stripped or damaged if the door is frozen or attached to the floor due to ice melt. If the opener is too strained while trying to lift the door, it may break, requiring repair. It is not just the structure of your garage at risk this winter. The contents of your garage could also potentially be harmed by freezing conditions. If temperatures drop, your vehicle may freeze, along with other items in the garage. If any item has any water in it, it has the potential to freeze and crack. Even fuel and paint can be damaged by too cold of conditions. While precautions can be taken to prevent major damage, if extensive damage has already been done, the best choice is often a garage replacement. 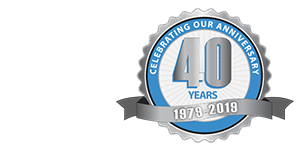 At Blue Sky Builders, our qualified team will happily work with you to build a new garage of your dreams. Our team will handle the demolition and building of a new garage, and will work with you to provide everything you are looking for within your new garage. If replacing your entire garage is not necessary, our team is skilled at roof repair and garage remodel. Contact one of our specialists at 630-852-8485 to get a free estimate and review of your garage today.